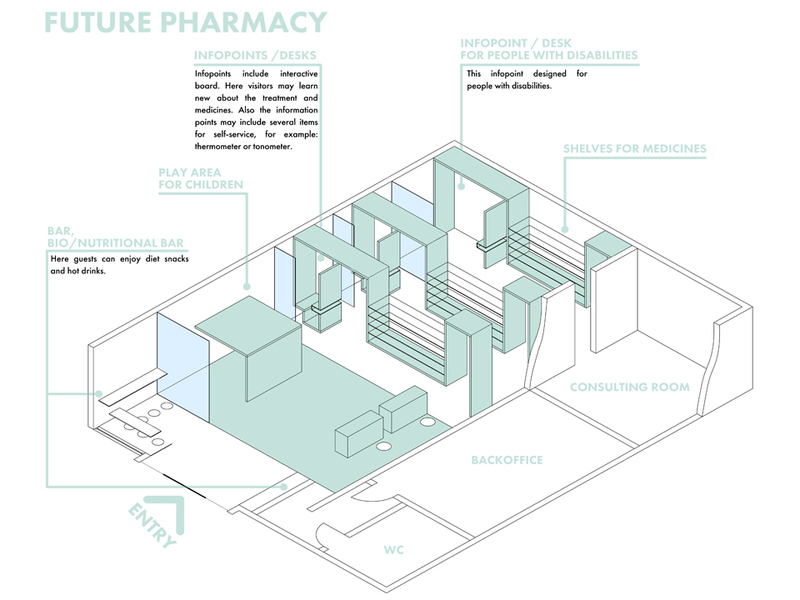 Future pharmacy should be convenient for human. 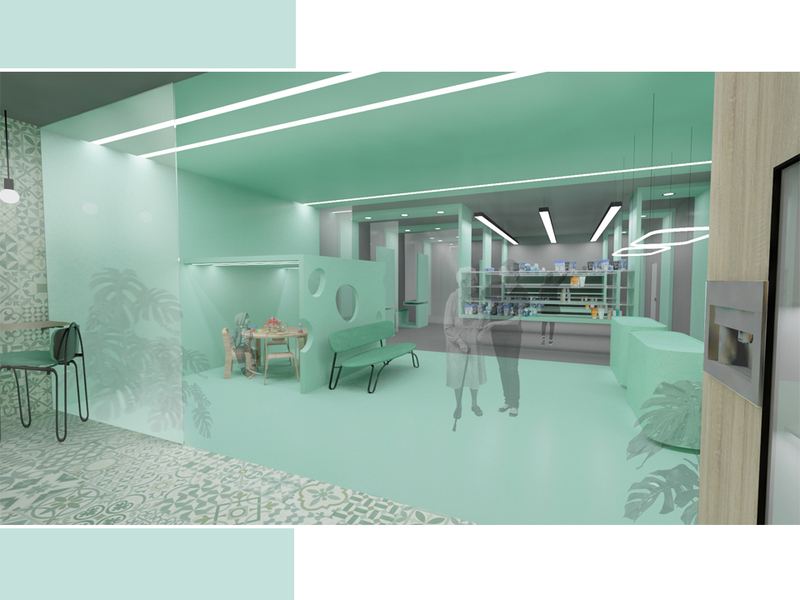 The pharmacy should include several new features that are simple and easy to use (such as free Wi-Fi and information points, where the visitors may learn new about the treatment and medicines). 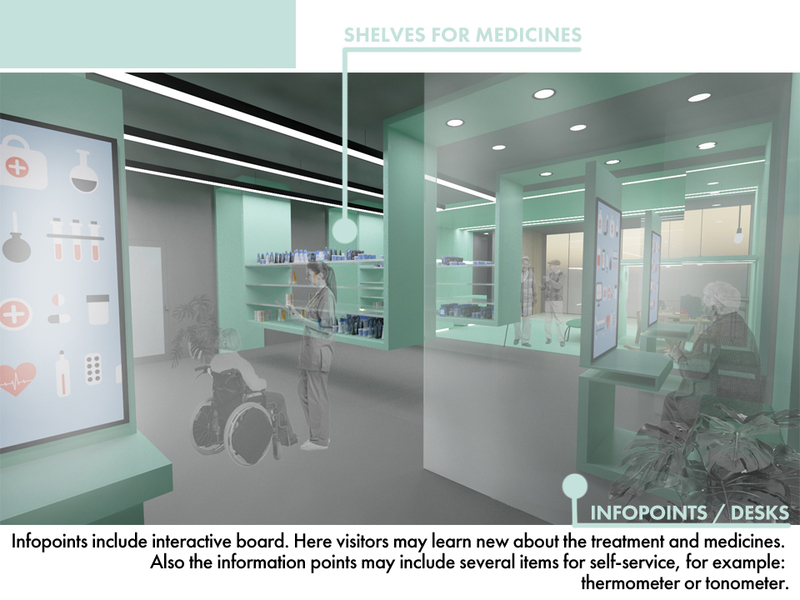 Also the information points may include several items for self-service, for example: thermometer or tonometer. 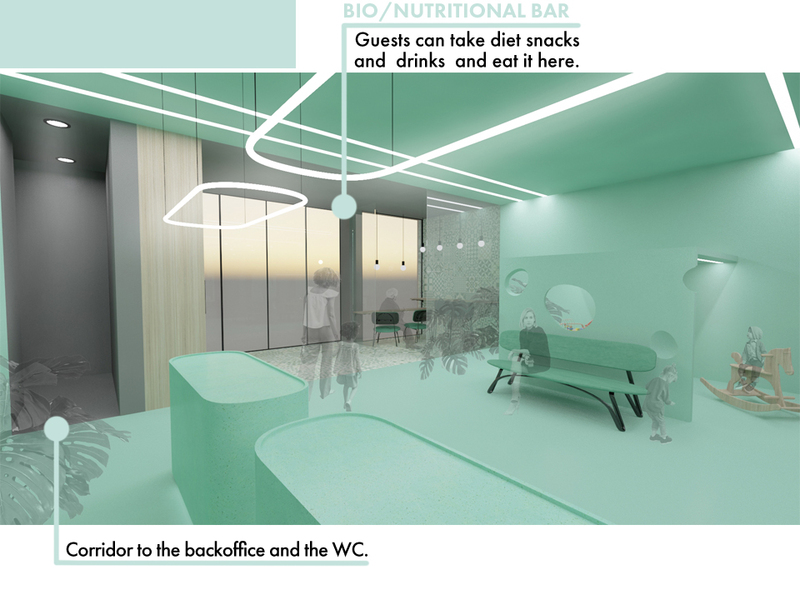 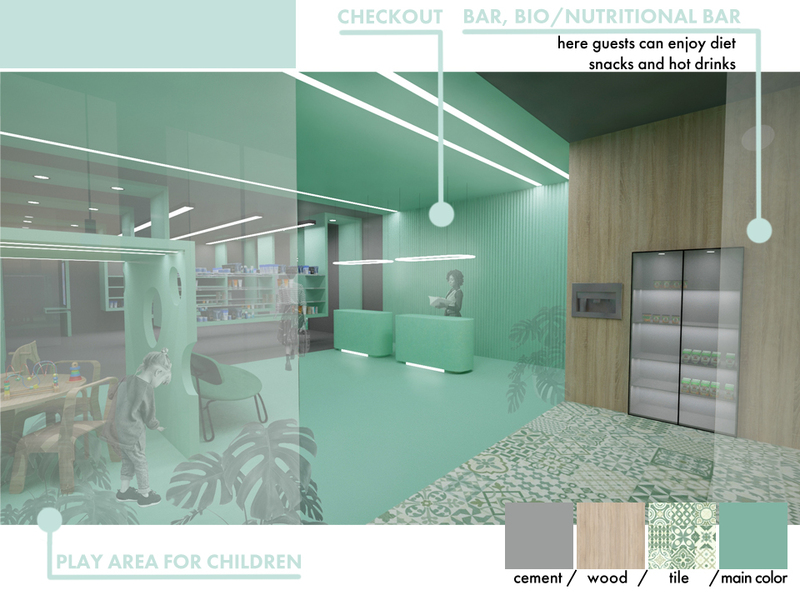 The future pharmacy may have a bar, where the visitors can buy diet food and drinks, or a play area for children.